With H’s condition, the food he consumes is crucial for his growth, development and wellbeing. Doctors and dietitians have told us that his diet needs to consist mostly of carbohydrates and healthy fats, but he also needs all the other nutrients we get from food, in smaller quantities. The ideal meal for him is pasta drizzled with olive oil and seasoned with salt, but it’s not ideal to have every single day. So I had to come up with some new meal options. Most kids are usually fussy when it comes to food and H is no different. He doesn’t like anything sweet and he insists on eating on his own but he doesn’t like getting messy. So I came up with these ‘pockets’. I have been making them for him for months and he loves them. They are great because he can hold them and the filling is contained. 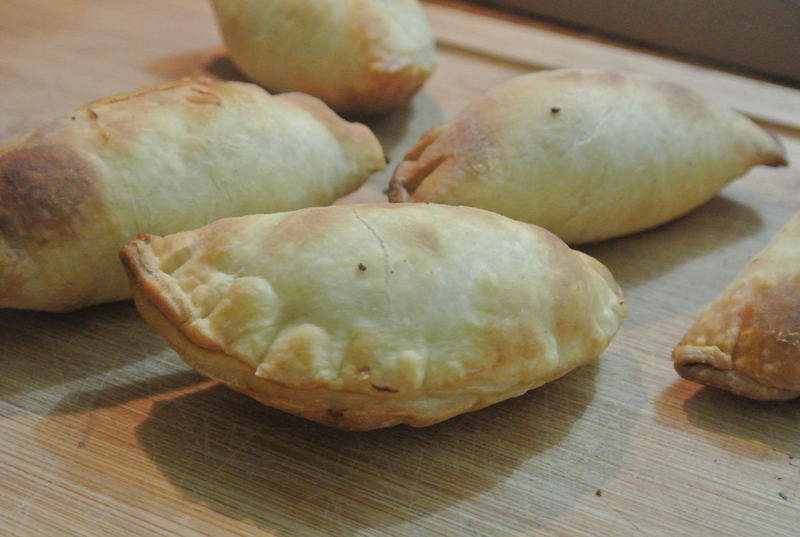 And there is a great balance of carbohydrates from the dough, protein from a meat and other nutrients from vegetables. They are also very portable, so we can even take them out with us. 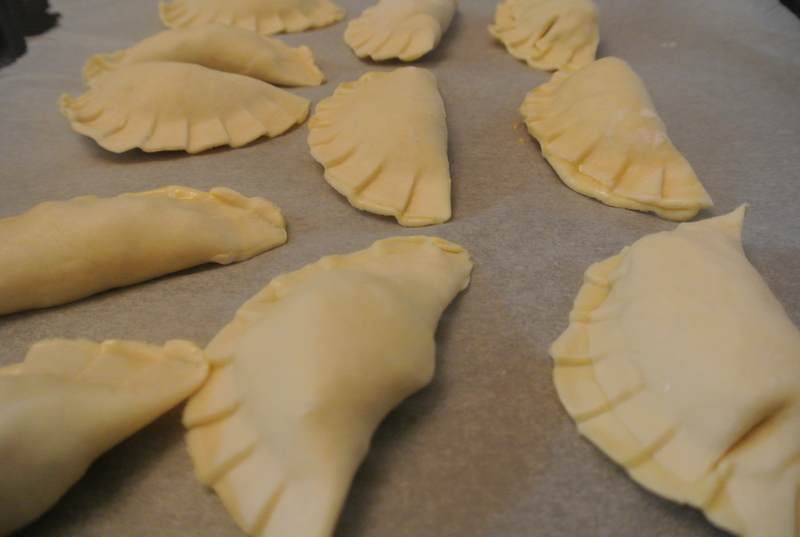 This recipe makes 12-15 pockets, depending on how thick or thin you roll out the dough. – some fillings I have done: mince chicken with peas, pork and pumpkin, beef with lentils and couscous and I like using variations of seasonings depending on the filling. Preheat oven to 350F, unless you are going to freeze them all. Prepare your filling and set aside. You generally don’t need a lot of filling, approximately 1 -1 1/2 cups of filling. The amount of filling you need will depend on the size of mould you use. I make small ones so that there is a larger dough to protein ratio. Sprinkle some flour over the surface where you’ll be rolling out the dough. Roll out the dough to a thickness of about 5mm. 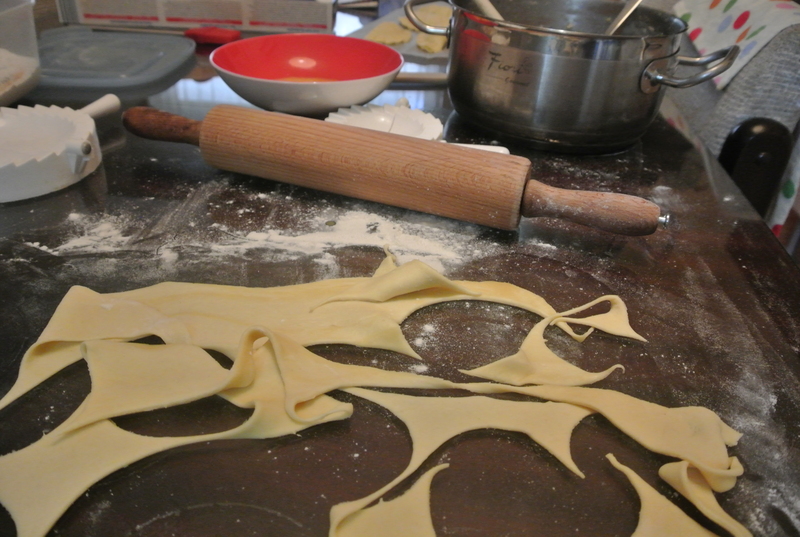 With the back side of the open mould, cut the dough into circles. 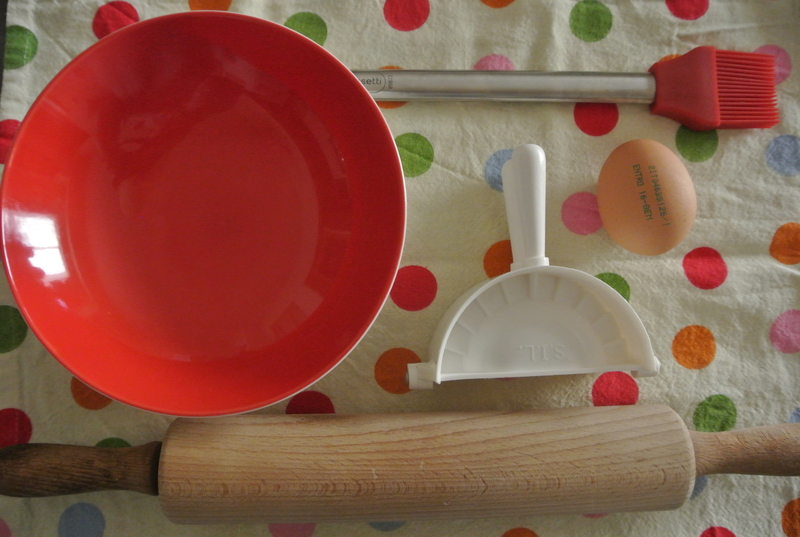 To fill, take a round of the dough and place over the mould, brush all around the dough with the some egg. For the small moulds that I make, it takes a little over a teaspoon to fill. Fold the mold over and close. Place the pockets onto a tray lined with baking paper and place in the freezer. The pockets will take about 15 minutes to freeze. Then store in a labelled (so you know filling) bag or container until ready to use. I’m becoming more and more a fan of homemade frozen meals. These are always on my frozen meal list, so there is always a supply in the freezer. To cook, preheat oven to 350F and bake for 15 min or until golden brown. I’d love to hear what you fill your pockets with. I’m always interested in new variations.